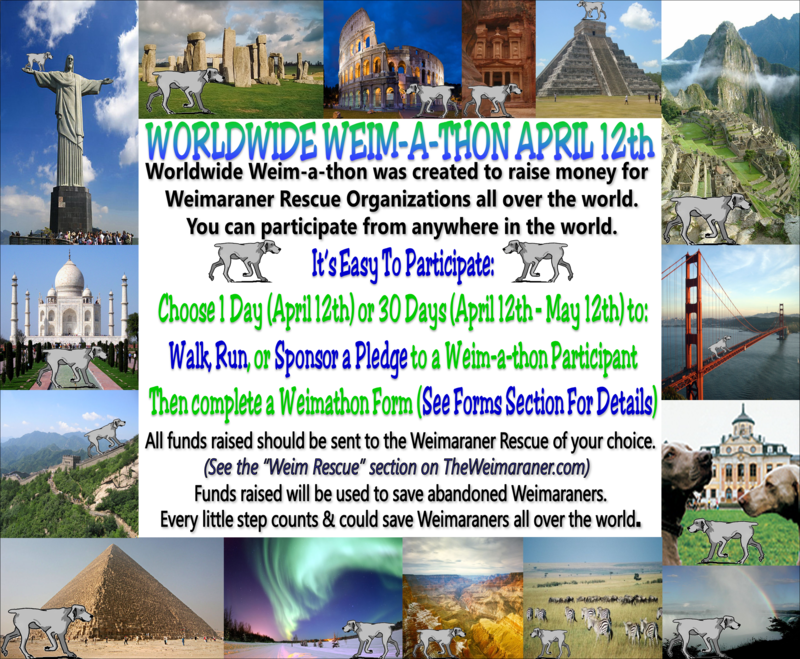 Worldwide Weim-a-thon was created to raise money for Weimaraner Rescue Organizations all over the world. You can participate from anywhere in the world. 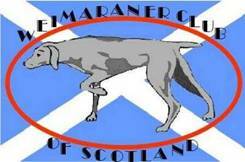 All funds raised should be sent to the Weimaraner Rescue of your choice. 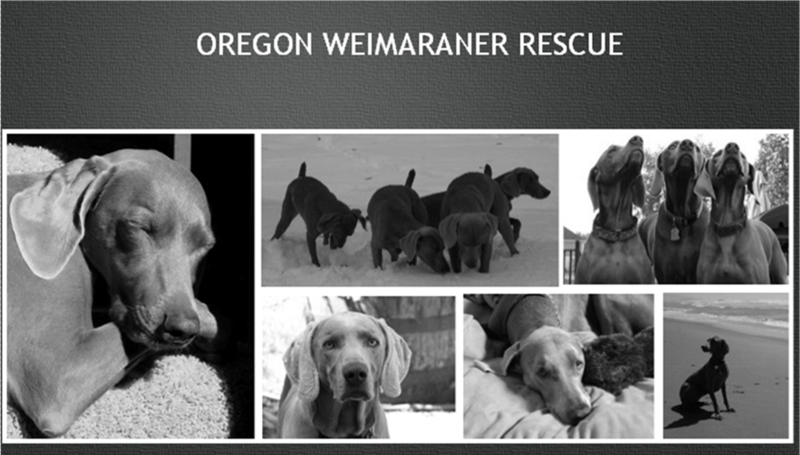 Funds raised will be used to save abandoned Weimaraners. 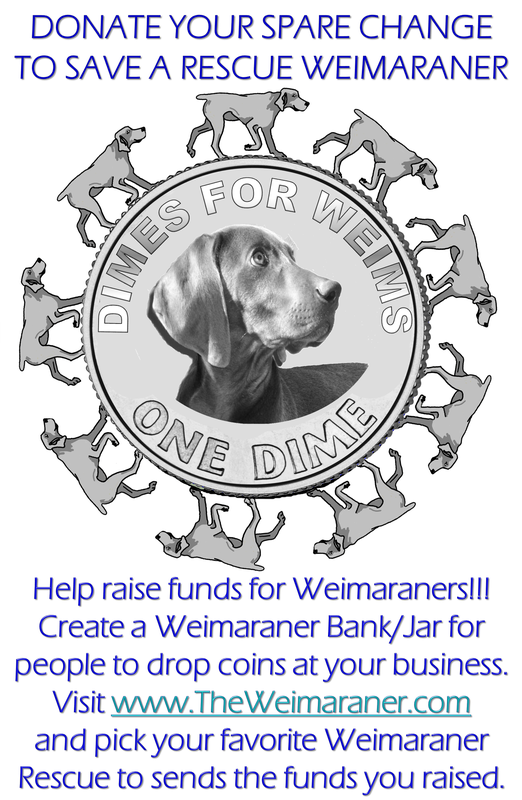 Every little step counts & could save Weimaraners all over the world. Please read and contact us if you have any questions. 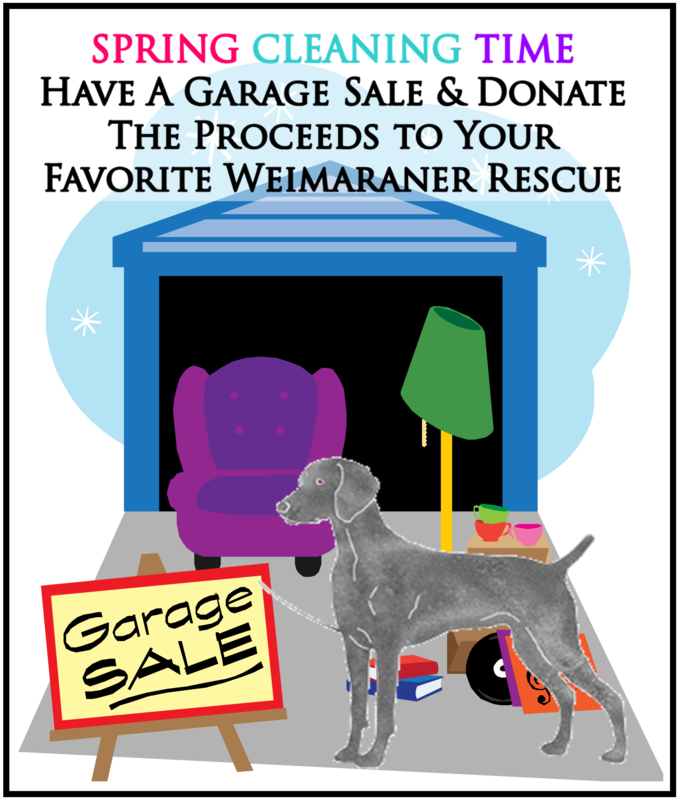 April 12th – May 12th you can help raise funds to help save the lives of abandoned Weimaraners in your area. 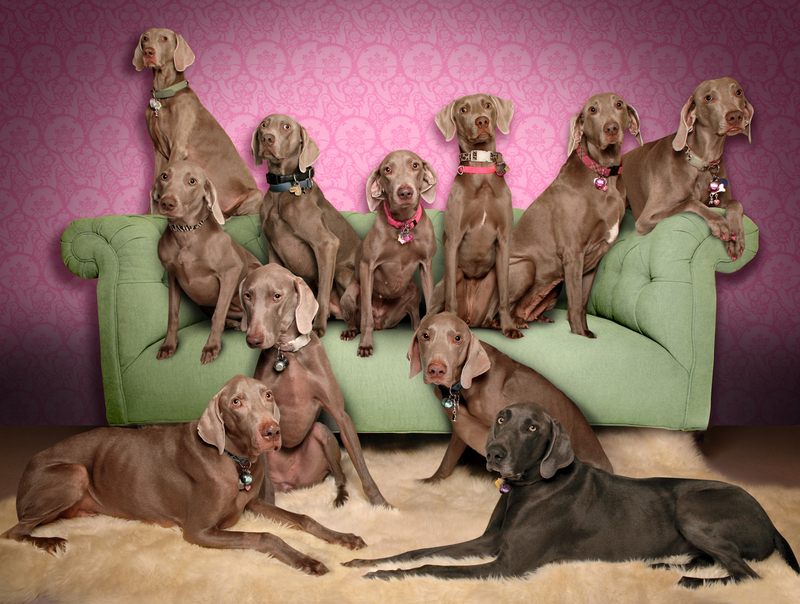 The Weimaraner breed requires lots of love and attention. They are famous for appearances on Sesame Street, Commercials, & William Wegman photos. Humans usually buy one for their beauty without doing research on the breed. Owners sometimes relinquish their dogs to rescue groups because they don’t realize the amount of dedication and time they require. Rescue groups also get the dogs from shelters. 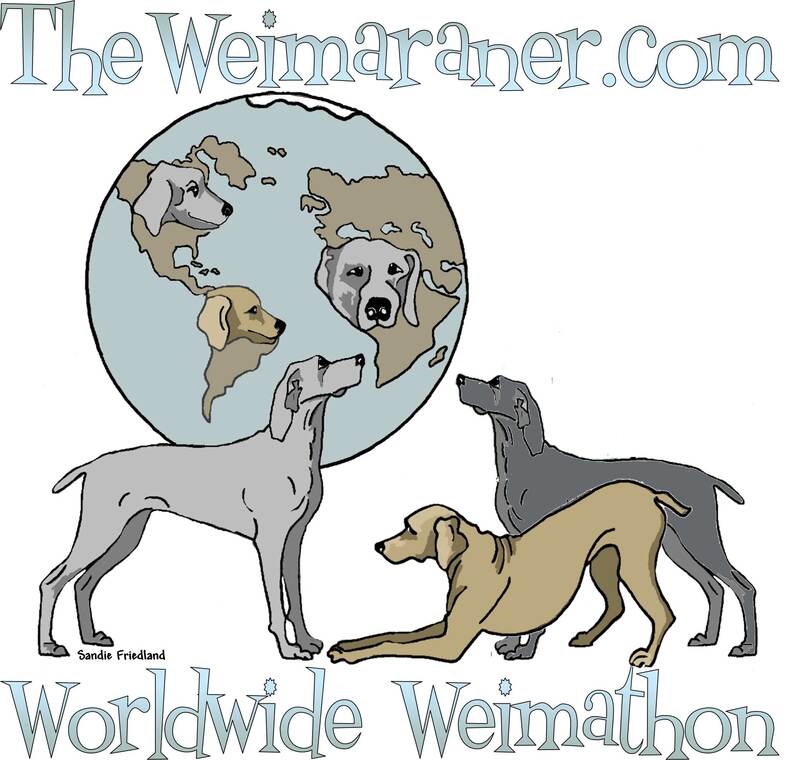 The Worldwide Weim-A-Thon was created to help Weimaraner Rescue Groups all over the world raise funds to help in their missions to save abandoned Weimaraners. 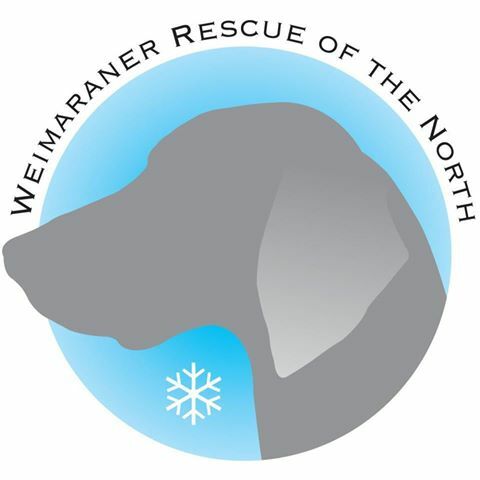 These funds will help pay for boarding, food, & veterinarian expenses such as shots, microchipping, spay/neutering, & healthcare for Weimaraners in need of advanced medical attention. 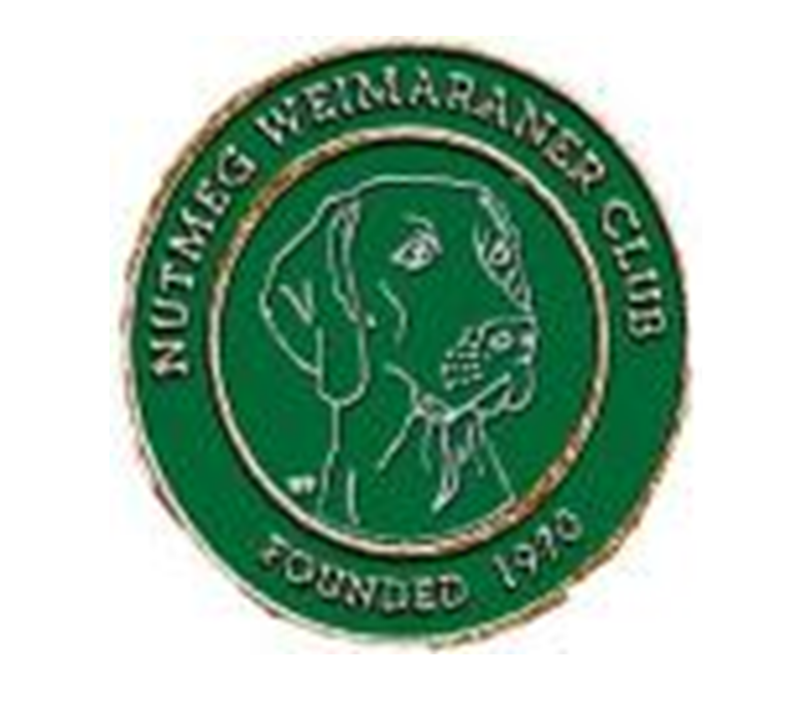 We hope that each person will participate in the Weim-a-thon in any way they can by Walking, Running, or Sponsoring a Pledge to a participant. To achieve our mission it would be great to have each participant find 5 sponsors and/or raise $100 per participant. The more contributions you help raise, the more successful we’ll be at achieving the mission. We encourage you to volunteer or organize an event in your community. 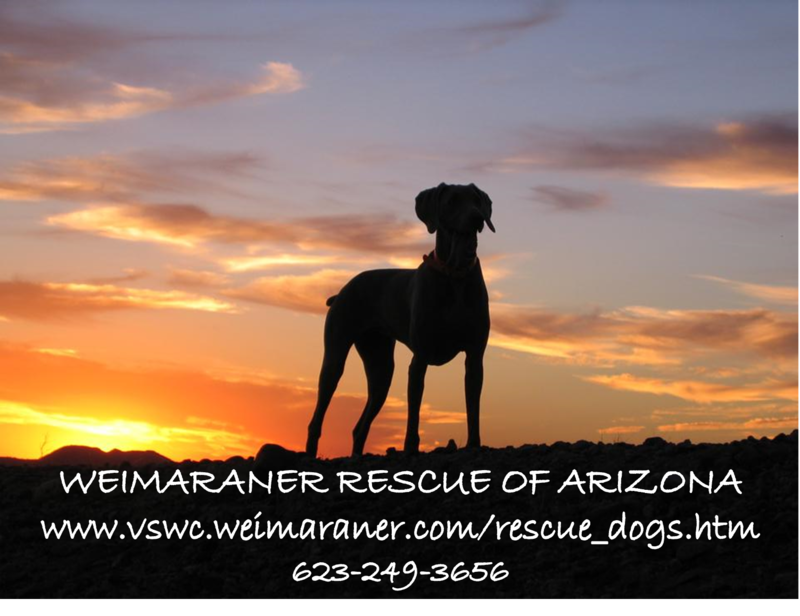 If your community does not have a local Weimaraner Rescue Group you can pick the Weimaraner Rescue of your choice to help. You can find people to walk/run/sponsor a pledge to by visiting our GROUPS. Each sponsor making a pledge should write their own name, pledge per mile, and maximum pledge. Circle each mile that you accomplished on your “Mile Tag”. Participants are encouraged to wear hats & sunscreen if sunny, bring rain gear if rainy, and water for everyone. I_______________________________________________ am participating in this program at my own risk and I will not hold anyone including Weim-A-Thon creators, Weimaraner Club/Rescue or any of its members liable for any loss, injury, illness, damage, or other hardship that may arise in connection with such program. I further agree, in the event that an animal or animals are left in my care in connection with such program, to assume full responsibility and liability for any and all injury caused by such animal or animals to others. Thank you very much for your participation and we hope that you have a great time!! 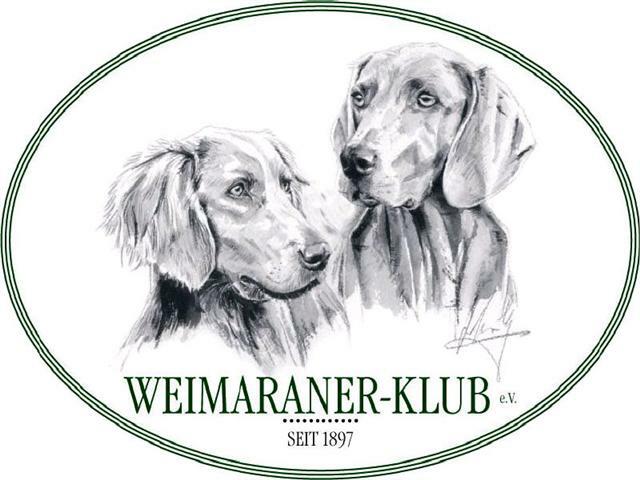 WEIM-A-THON IS A FUN AND FIT ACTIVITY FOR PETS & THEIR FAMILIES. 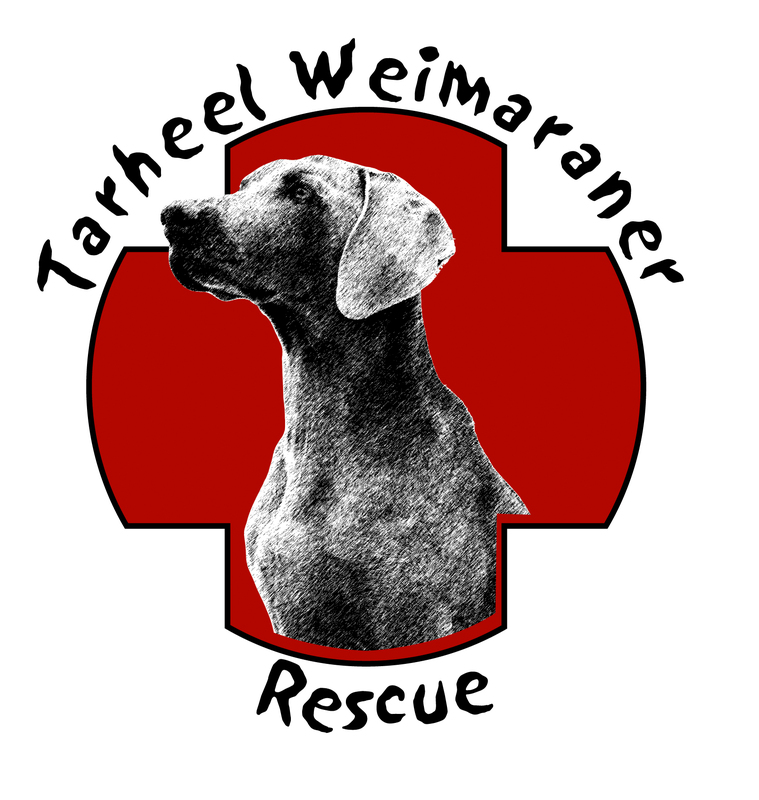 Dear Potential Sponsor, I am participating in the 9th Annual WORLDWIDE WEIM-A-THON April 12th – May 12th. 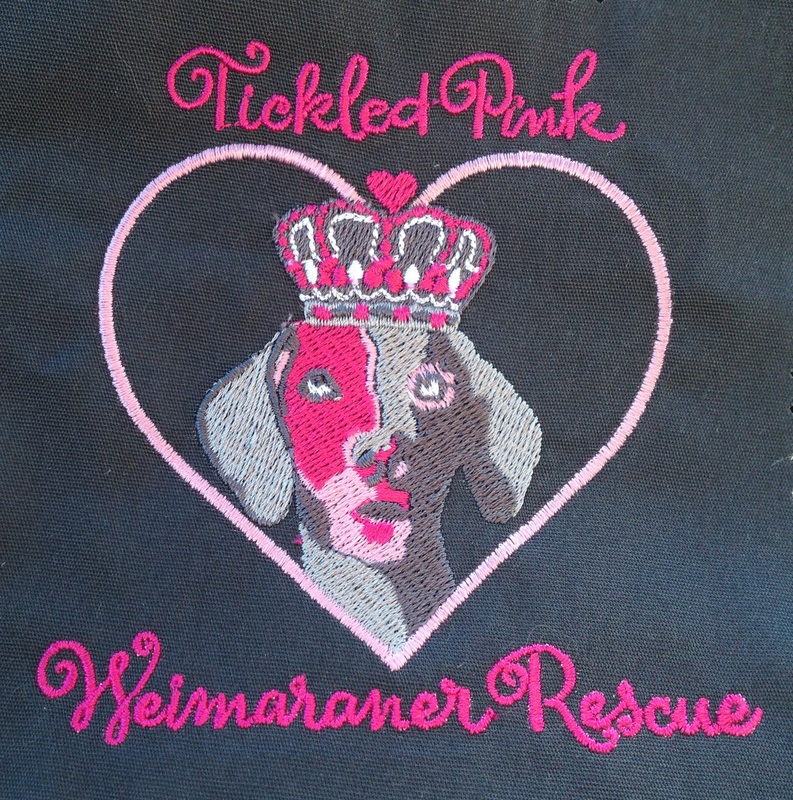 All proceeds will help fund Weimaraner Rescue. You can sponsor me for an amount per mile and can name a maximum amount that you are willing to contribute. Please make checks payable to:___________________________________________ Thank you! PLEASE PRINT FROM ONE OF THE PRINTABLE COPIES AT THE TOP OF THIS BLOG POST. 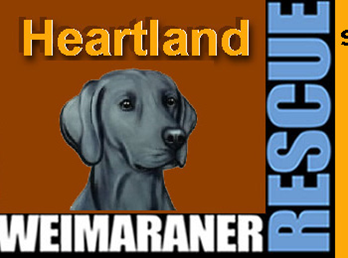 April 12th – May 12th you can help raise funds to help save the lives of abandoned Weims in your area. 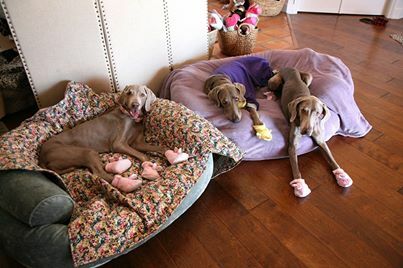 The Weimaraner breed requires lots of love and attention. 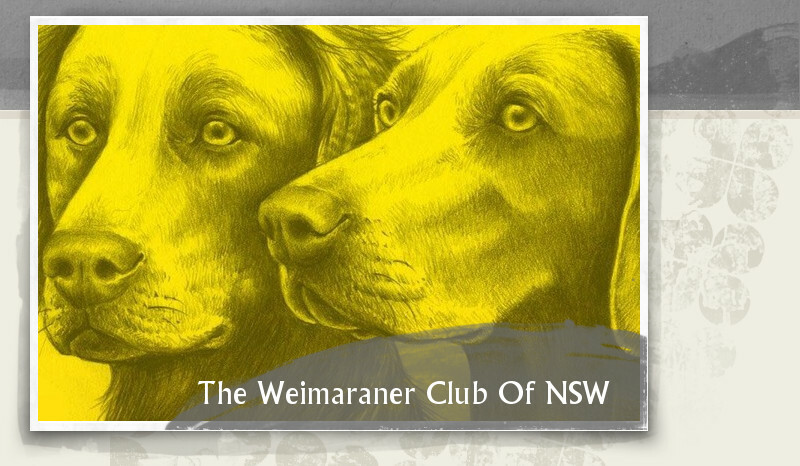 They are famous for appearances on Sesame Street, Commercials, & William Wegman photos. Humans usually buy one for their beauty without doing research on the breed. Owners sometimes relinquish their dogs to rescue groups because they don’t realize the amount of dedication and time they require. Rescue groups also get the dogs from shelters. 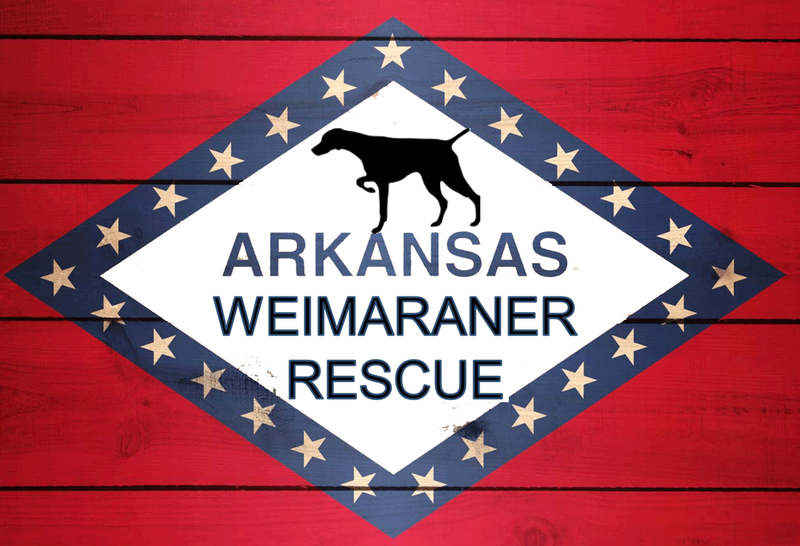 We hope that each person will participate in the Weim-a-thon in any way they can by Walking, Running, or Sponsoring a Pledge to a participant. To achieve our mission it would be great to have each participant find 5 sponsors and/or raise $100 per participant. The more contributions you help raise, the more successful we’ll be in achieving the mission. We encourage you to volunteer or organize an event in your community. Want to meet our latest rescue and hear a very interesting story about her? 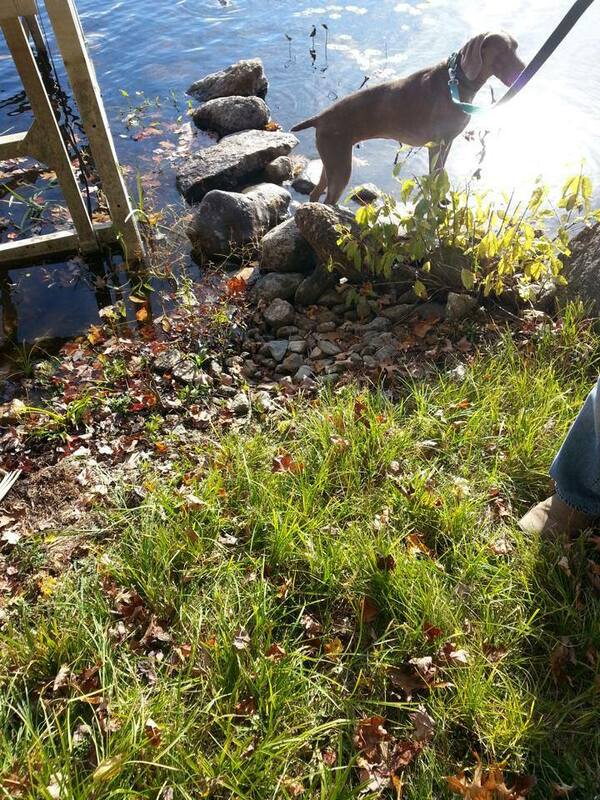 Meet Lulu….One of our fosters in New Hampshire recently had a paranormal type ghost hunter at their home. 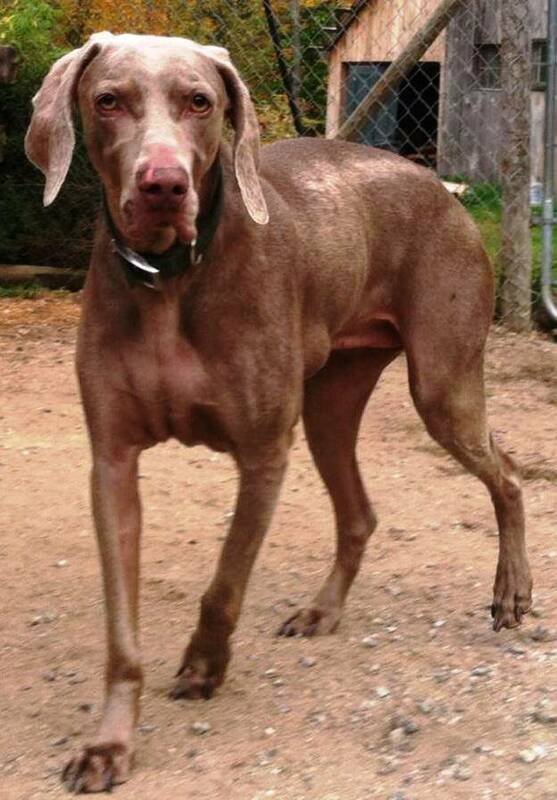 While out running errands these Foster’s (Scott and Stacy) received a call from the ghost hunters saying that there was a Weim running loose around their neighborhood all morning. They finally got a hold of her and were keeping her safe at their house. Scott and Stacy arrived to pick up the Weim when a lady driving by stopped. They thought she was the owner, but she was not. Sadly, she was only looking after the dog and feeding her because the elderly owner is very sick in the hospital without a good prognosis. The woman wept as she told Scott and Stacy the story about how no one in the family wanted the dog named Lulu and she was going to be put to sleep because no one wanted her. 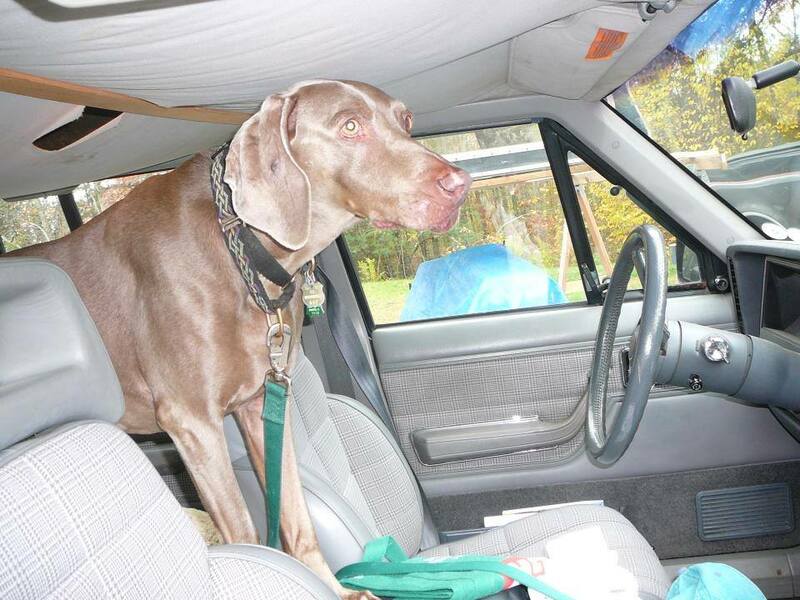 Strangely, the Weim had decided she had to get out, almost like she knew something bad was about to happen to her. She broke through the glass entry door this morning and got loose. She is cut up but not serious. Now here is another strange part of the story. Scott had met the owner of this dog about four years ago at a doughnut shop. The owner had told Scott how his kids pressured him into getting Lulu the weim and he felt badly because as he was getting older he knew he only could provide the dog with a few good years. 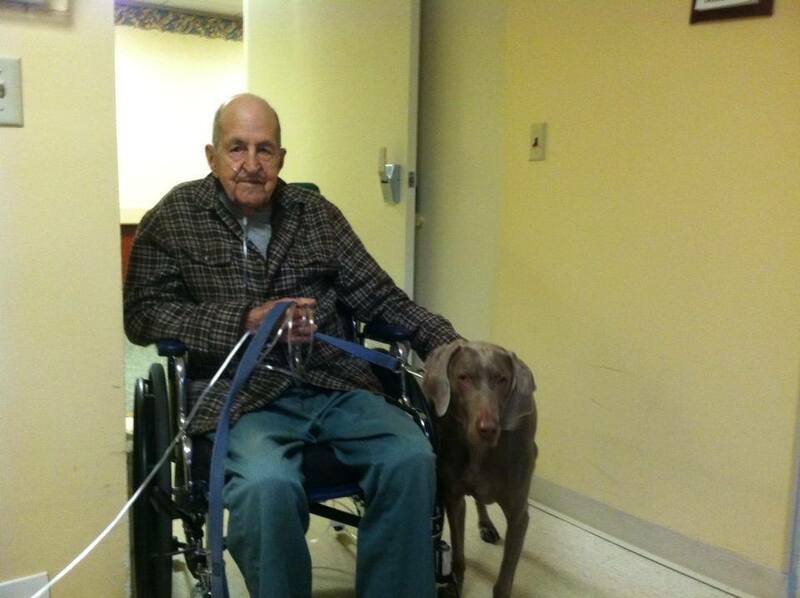 Scott told the dogs owner that he would make sure that his Weim would be okay. Scott is going to take Lulu to go visit her owner tomorrow to say goodbye. Well Lulu has been on quite the adventure! 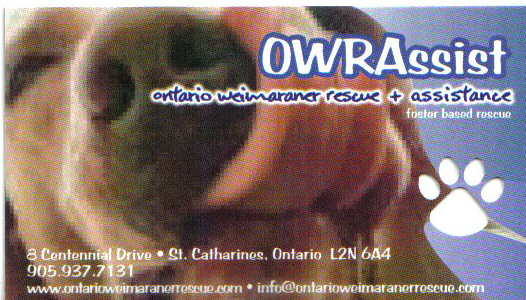 You may remember WRN volunteer Scott was reconnected with her after meeting her and her elderly owner year earlier and happened to be the one the people who found her after she broke out of her house as her owner was in the hospital and his family was going to have her euthanized. Lulu went to visit her former owner Walter several times while she stayed with Scott and Stacy (see pic). Walter was so grateful to know his baby would be ok..Well Lulu is with her fosters Dave and Roberta. They started off on vacation in NH. On Tuesday, they returned to Dave and Roberta’s home and we are happy to hear she has been doing great! Lulu is very spoiled as she gets to go sight seeing, running errands and for hikes in the beautiful parks of Connecticut. “Today, I wanted Lulu to have a long run. She loves to follow scents, so I took her to a state park to run some trails. Camp Columbia state park (The 600 acres once belonged to Columbia University and were mostly used as a summer program for the Chemical Engineering, Civil Engineering, and Technology & International Affairs departments). Lulu had her nose to the ground, ran & jumped from side to side picking up scents. She loves the outdoors. Next, we’re researching The White Memorial Conservation Center, which is 4000-acres with more than 35 miles of trails, through varied terrains. Lulu gets to run some good trails and we get some good exercise – win/win”. We are happy Lulu is having so much fun and getting so much attention! Every Weims dream thanks to Scott, Stacy, their “ghost hunter” friends (if you read the post above you will get it! ),Walter, Dave and Roberta! Dave and Roberta are so wonderful, they even plan to take Lulu to visit with Walter next time they go to vacation in NH. Amazing people!!! Slumber party!!!! I’ve been such a good girl at my new foster home that my foster Mom let me have a boy/girl slumber party! This picture is of Holly (left), Gilbert (in yellow slippers) and me (Beauty). We had a great time and, given that one of us is 14 years old (Holly), one is recovering from major surgery Gilbert) and one (me) is dealing with terminal cancer, we actually slept! Nothing like those “slumber” parties that human kids have. The doctor says I don’t have a lot of time left on this earth, but I’m enjoying the heck out of the days I have left. Carpe Diem and all. Anybody up for popcorn and a movie marathon?